Basic Spanish will provide you with the vocabulary andlanguage tools to learn the basics of a foreign language quickly and easily. You can listen anywhere, from in the car to jogging, while the audio-only instruction teaches you spoken language organically. 30 minute lessons, with both grammar and vocabulary, are designed to optimize the amount of language that can be learned in one sitting. The Basic Pimsleur Program is comprised of the first 10 lessons in the Pimsleur Comprehensive Level 1 course. 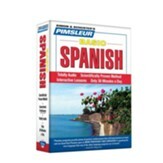 If you need to know just a bit of Spanish for a short trip,layover or other situation, Pimsleur Express Spanishwill be just right for you. Eight 30-minute cassette tapes introduce the basic phrases and words you'll need to know tosurvive. Listen as two people converse back and forth, and then pronounce each syllable yourself until you memorize the words correctly! 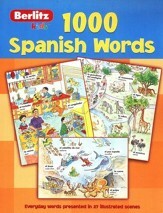 Entertaining and informative, these reference books introduce 1,000 familiar words for everyday situations in Spanish, presented in 27 imaginative scenes to illustrate the words in context. Includes a 200-word glossary with numbers, days of the week, and months of the year. Full color. Learning a language will never be this easy or fun again! Research shows that childhood is the best time to introduce a new language. 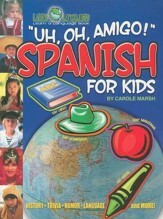 With this book, kids can explore Spanish in no time. With the greatly increased need for translators in every world language, world events, and the continued globalization of world markets and cultures, this book gives kids an understanding and appreciation of Spanish and the culture that will be valuable to them for a lifetime! The combination information and activity format reinforces learning and humor makes it fun. 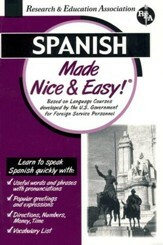 Based upon courses for foreign service personnel and designed by the U.S. Government, REA's Spanish Made Nice & Easy is a simple and effective guide for those who wish to learn common phrases, greetings, expressions, directions, money, time and other useful vocabulary. A brief overview of Spanish facts and history (up to the mid-1990s) is included for those who wish to learn more about the people and country. Perfect for travelers, students or tourists, this handy guide contains not only common words, but a page of Spanish words you're most likely to see, black-and-white photos and an alphabetized word list. 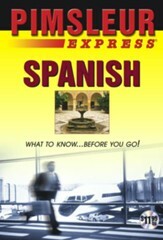 136 pages, softcover; Spanish vocabulary words are romanized phonetically.